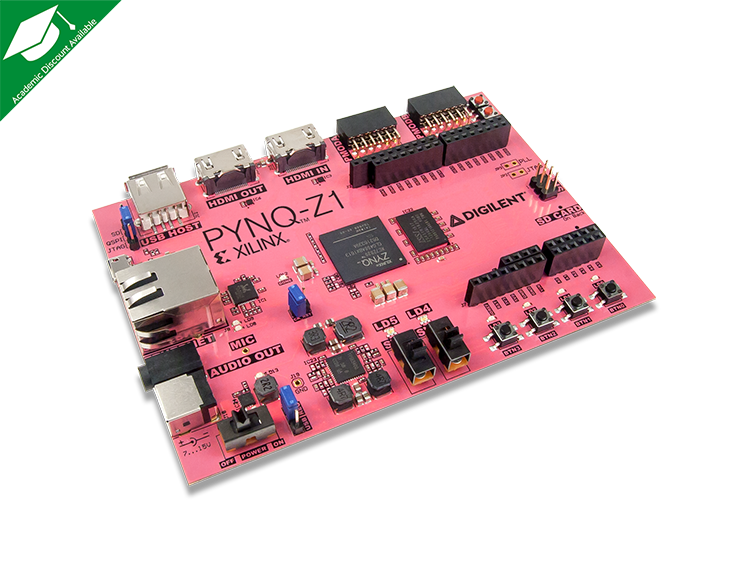 The PYNQ-Z1 board is designed to be used with PYNQ, a new open-source framework that enables embedded programmers to exploit the capabilities of Xilinx Zynq All Programmable SoCs (APSoCs) without having to design programmable logic circuits. Instead the APSoC is programmed using Python, with the code developed and tested directly on the PYNQ-Z1. The programmable logic circuits are imported as hardware libraries and programmed through their APIs in essentially the same way that the software libraries are imported and programmed. For designers who want to extend the base system by contributing new hardware libraries, Xilinx Vivado WebPACK tools are available free of cost. To find out more about PYNQ, please see the project webpage at www.pynq.io. Here you will find materials to help you get started and a forum for contacting the supporting community. All support and project tutorials for PYNQ are found at the project webpage at www.pynq.io.